To say that the situation in Congo is fluid would be a chronic understatement. Conflict in the east of the country, and the regional dynamics that surround it, are changing by the hour. Here, Will Jones offers us his perspective on the ongoing M23 rebellion, and the roots from which this most recent conflict has grown. 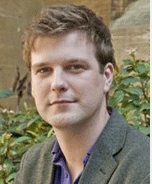 Will is a Research Officer at the Refugee Studies Centre at the University of Oxford. Goma has fallen. It had at 2pm on tuesday, at least. This sprawling city of a million people, built on and out of volcanic rock on the shores of an exploding lake has become synonymous – insofar as it comes to the attention of the wider world at all – with catastrophic refugee crises, ecological devastation, and looting and pillaging. This week will do nothing to change that script. The villains in this particular script are a rebel group with the strange name of M23, (not to be confused with these guys), which launched in April of this year, ostensibly over broken promises made in the agreement of March 23rd (hence the name). This is only the latest in the alphabet soup of armed groups in Eastern Congo (ADFL, UPC, RCD, FDLR, ALIR, CNDP, and so on ad nauseam). Both the United Nations Panel of Experts and Human Rights Watch have alleged that the Rwandan government is aiding and abetting this rebellion, if not actually directing it. Rwanda has vigorously denied the allegations, and at least some academics are inclined to leave the jury out on such claims for the moment. The two most common questions people watching Congo for the first time seem to be asking are: is this really all Rwanda’s fault? And if Kigali is fomenting trouble across its border, what on earth does it think it’s doing? There is a third question: what, if anything, the West could or should do about all this, and if anyone reading this has any answers to that one, please let me know. I’m going to focus on the first two. Is this all Rwanda’s fault? In a word, no. The present Rwandan government cannot be blamed for the deeply toxic communal politics of Eastern Congo, or the present precarious position of the region’s Rwandaphone population. A key part of the rhetoric of these rebellions – of which M23 is only the most recent – is the claim that Eastern Congo’s Kinyarwanda speakers have repeatedly been the victims of persecution from many quarters, and cannot rely on the Congolese state for protection. The oft-heard retort – that these are ‘foreign’, ‘Rwandan’, or ‘Tutsi’ movements – reiterates precisely the racist logic which frightens many Rwandaphone Congolese. Who counts as ‘foreign’, ‘Rwandan’, or ‘Tutsi’ is the subject of change and bitter contestation. Does it include the Banyamulenge? How about the descendants of the 300,000-odd Rwandans brought to Eastern Congo between 1928 and 1956 as migrant labourers? What of the descendants of the refugees who streamed over the border in 1959, 1973, or 1994? Some of these people now form a significant section of Goma’s chattering classes, others, the Forces démocratiques de libération du Rwanda (FDLR, the remnant of the Hutu-Power government behind the genocide). Congolese governments have repeatedly played games with indigeneity, some very recently: the 2004 law on citizenship, for example, which is still in force, uses the 30th of June 1960 as the key date in determining citizenship. Even the stuff that some might be tempted to write off as ancient history is very much present for some: a 2010 statement by the Alliances des patriotes pour un Congo libre et souverain (APCLS – another armed group, this time from Masisi) declares, ‘We, the indigenous Congolese from Masisi, Rutshuru, and Walikale in North Kivu province, denounce the Machiavellian plan to exterminate [the people] in the land of their ancestors’. The ‘indigenous’ here are the Hunde.1 The foreign invaders they decry include people that migrated to these regions in the 1930s. 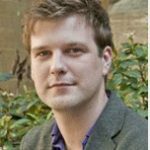 None of this is to say that the Rwandan government itself is not also involved in current developments, just that any explanation of the conflict that does not include the long-standing politicisation of ethnicity, territory, and citizenship (to say nothing of decades of state failure) will be incomplete. Equally, our narrative should include 1993, with the large-scale pogroms against Banyarwanda across the region (dubbed la Guerre de Masisi). It should also include 1996, with the ADFL rebellion which toppled Mobutu and replaced him with Laurent-Désiré Kabila: the ADFL was formed by four genuinely Congolese groups but it was also heavily supported, if not actually put together, by the Rwandan government. The Rwandan government’s stated motivation then was entirely credible: the former genocidal government of Rwanda had fled across the border into Zaire and were rearming with Mobutu’s tacit support (if not active encouragement). The campaign in 1996 replaced Mobutu with a figure more sympathetic to the new Rwanda’s interests, and forcibly returned to Rwanda many of those that had fled with the genocidal government. The operation, however, was also marked with widespread allegations of pogroms and violence of their own, which intensified the corrosive communal politics of the region. In its midst, ragtag bands of militia and local defence groups became larger, interlinked military-commercial networks who had interests and a wider politics of their own. When Kabila tried to use anti-Rwandan sentiment to his advantage – demanding all Rwandan troops leave the country in June 1998 – the Rwandan government launched a further rebellion to replace one Kabila with another (RCD this time) and in so doing sparked the deadliest conflict in modern African history. It is during these campaigns that we find many of the worst and most controversial stories of war crimes and plunder engaged in by the Rwandan army and its allies. Again, all this adds another layer of poison, arms a further set of putative strongmen and regional viceroys, and reconfigures the power relations of the East anew. The series of deals which finally brought about a sort-of-end to the conflict in 2002 included a security guarantee, of a form, for the Rwandan government: the Congolese transitional government undertook to help with the disarmament of Hutu militias in the East and – more importantly – incorporated many RCD elites into the new government. Thus, the head of the RCD, Azarias Ruberwa, became one of the four Vice-Presidents, and senior RCD officers were put into key positions across the East, thereby preserving a network within the security complex of the Kivus which guaranteed the interests of the Rwandan government in the region would be protected (stay tuned for more on what those interests actually are later). From here (2002) it’s just a short skip and a jump to the next rebellion (CNDP – 2004-2009), and the rebellion after that (M23 now), both of which are dominated by precisely those Rwandaphone Congolese officers brought into the military by the peace deals which ended the war (as this makes clear, about half of the leadership of CNDP has now joined M23). In both cases, the rebellions have their sources in the same two basic factors. Firstly, legitimate anxiety about persecution and anti-‘Rwandan’ sentiment (of course, illegitimate anxieties can also be fostered or disingenuously manipulated). Secondly, moves from Kinshasa that would either dismantle this network or reduce its importance. Obviously, these two can be related: the stated spark for the M23 rebellion were attempts to redeploy these officers away from their ‘ancestral homelands’, which is not inaccurate. That is also the same, however, as dismantling this network of powerholders in the Kivus, who *are* Kigali’s security guarantee. Focusing in on M23, it’s fair to say that the group has a narrower social base than previous armed groups. 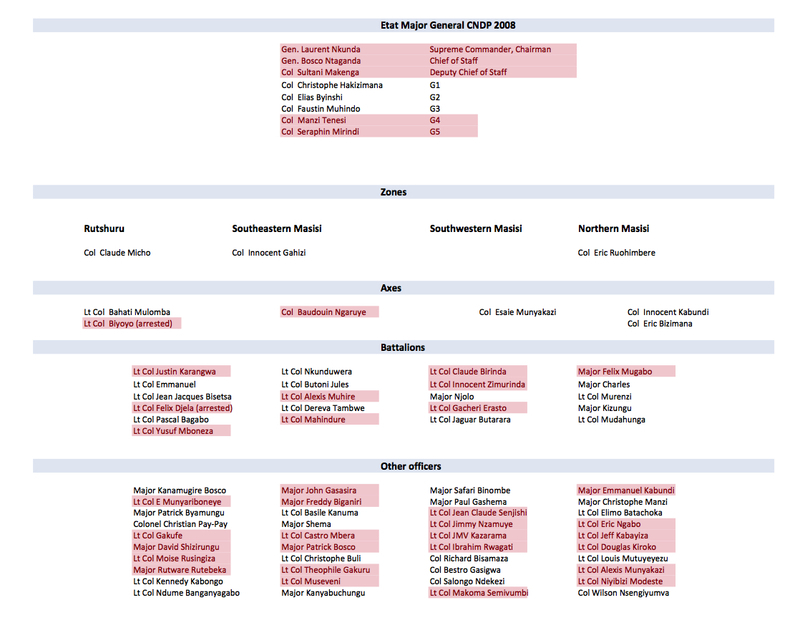 The defection of Eugène Serufuli from CNDP along with several thousand Hutu means that M23 is almost entirely Tutsi. But, as previously mentioned, not all Tutsi are from Rwanda. Although many of the leaders of these rebellions (including Laurent Nkunda) fought alongside the RPF in the old days, M23 is a Congolese group. Moreover, there are now considerable tensions between many Congolese Tutsi and the Rwandan government, including some in M23, founded in part on a sense that the Rwandans have not fought for them or their interests when it counted. The important point here, is that even if we believed absolutely all of the allegations concerning the Rwandan government’s support for these rebellions (which some credible observers don’t), it would remain true that there is an important component to these rebellions internal to the DRC, which makes them more than demonic puppetry on the part of Paul Kagame. What are Rwanda’s interests in Eastern Congo? That said, there is now an abundance of evidence that the Rwandan government is aiding and abetting this latest iteration of what has become a depressingly old theme. The UN Group of Experts on the DR Congo leaked an addendum to their report in June in which they alleged that Rwanda is providing extensive support to M23 and six other armed groups in Eastern Congo. This support dates back to last year, and includes the provision or ammunition, guns, training, and actual soldiers, to say nothing of strategic planning at meetings organised by Rwandan officers in Rwanda, and military interventions on M23’s behalf within Congo on several occasions. The evidence is compendious, and extremely damning. Even if half of the report was false, it would remain an extraordinary level of Rwandan activity on behalf of M23, which prompts the obvious question: why? As the previous section should make clear, Rwanda’s history in the region gives it a complex web of overlapping military, economic, social and emotive reasons to continue activities in Eastern Congo. Pointing to one single factor as a putative explanans for Rwandan interest is unhelpful. The most often heard claim of this variety – that this is *all* about plunder – was not even credible during the height of Rwandan commercial militarism in around 2002 (when Paul Kagame, in a rare unguarded moment, described the Rwandan campaign as ‘self-financing’). However, it remains true that many of the officers integrated into the military in the peace deals that ended the war were essentially handed control over various key economic interests around mining (‘rackets’, if you prefer), and are part of a web of elites who control important parts of the regional economy. Equally, within the RPF and elsewhere, there exists a belief that the Congo’s Rwandaphone population are under threat, and that the present Rwandan government has a special duty to protect them (Rwandan President Pasteur Bizimungu famously showed journalists a map on the eve of the Rwandan invasion of Zaire in 1996 in which pre-colonial Congolese kingdoms paying tribute to King Rwabugiri in the late 19th century were shaded in as part of ‘Greater Rwanda’.) Still others do genuinely regard Eastern Congo as Rwanda’s ‘backyard’ (much as the Americans used to do with Latin America, and the French did when they called Africa their chasse gardée); or think of the Congolese Tutsi officers commanding M23 as ‘their guys’: co-combatants from the Struggle against the Hutu Power state in the ‘80s and ‘90s, and bound by the solidarities of the liberation war. All of this is important, but it hardly explains support of this form at this present moment. This is why the final part of the puzzle must be a story about the elites, and elite networks. The rebellion now. This ongoing rebellion is another consequence of the failed peace process in Congo, which reduced the RCD (at the time occupying a third of the country) to a small network within the apparatus of state and military that felt threatened from many sides. For example, RCD managed to get less than 2% of the vote in the 2006 elections, which would be enough to make the most hubristic rebels brought in from the cold nervous. This network remains the fragile guarantee of Rwanda’s interests in the region, and it has never given up its recourse to violence. Thus, attempts by the Congolese central state to dismantle this network should be expected to meet with resistance of this form. Which is where we are now. If the rebellion is sufficiently successful (the humiliation of the Congolese army in Goma certainly helps), the idea is presumably that the Congolese government will have no choice but to negotiate with the rebels and give up on any attempts to marginalise the rebels or chip away at their privileges. Which is where we began. 1 This example, as with much in this article, is taken from Jason Stearn’s superb North Kivu: the Background to the Conflict. Read it. And its sister report, From CNDP to M23.If you’ve got more time to read, you may as well skip this poor summary and go straight to reading his stuff, including his blog, Congo Siasa, which is the place to go for reliable updates on this material.